A friend recently shared this with me. It’s a great reminder to be on the lookout for opportunities to show kindness, be a blessing, or share God’s love with others. Having four visiting family members, my wife was very busy, so I offered to go to the store for her to get some needed items, which included light bulbs, paper towels, trash bags, detergent and bleach. So, off I went. Hey Buddy, what’s your name? “Steve, like Stevarino?” he asked. Denny’s mom had a puzzled look on her face and thanked me for taking the time to talk with her son. She told me that most people wouldn’t even look at him, much less talk to him. I told her that it was my pleasure and then I said something I have no idea where it came from, other than by the prompting of the Holy Spirit. I told her that there are plenty of red, yellow, and pink roses in God’s Garden; however, Blue Roses are very rare and should be appreciated for their beauty and distinctiveness. You see, Denny is a Blue Rose and if someone doesn’t stop and smell that rose with their heart and touch that rose with their kindness, then they’ve missed a blessing from God. A small gesture makes a world of difference. May I suggest, the next time you see a Blue Rose, don’t turn your head and walk off. Take the time to smile and say hello. Why? Because, by the grace of God, this mother or father could be you. This could be your child, grandchild, niece or nephew. What a difference a moment can mean to that person or their family. From an old dandelion…live simply, love generously, care deeply, speak kindly, and leave the rest to God. If this story blesses you today, please consider sharing it with others. People will forget what you said, people will forget what you did, but people will never forget how you made them feel. Wow! Cindi What a story. Thanks for sharing. Had a lovely day yesterday. Kids made sure of making it extra special for me while Rich was at work. For starters, Rich woke early to make me bfast. So sweet of him but was a little too early for me to eat. Jacquie made us a nice lunch while Eddie finished working. He put down trim molding on new floor. Looks great! Dinner; While jacquie prepared a delicious Salmon and Mike prepped they both made a nice supper. The boys signature dish. Ratatouille, While Matt was out shopping for a bday gift. Then Celebrated after with bday pies and creme brulee and presents along with your card and Dad’s. So, was a nice Birthday. Plus weather was 65. 🐞🌷🌞. So y’all Thanks for your gifts!! 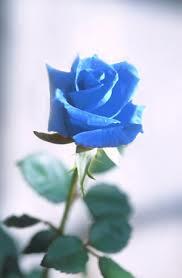 You made me a blue rose, Cindiâ¦your unconditional love certainly spreads not to just me but to many! Itâs a privilege to inspire you. You sweet friend. Your words touched my heart.